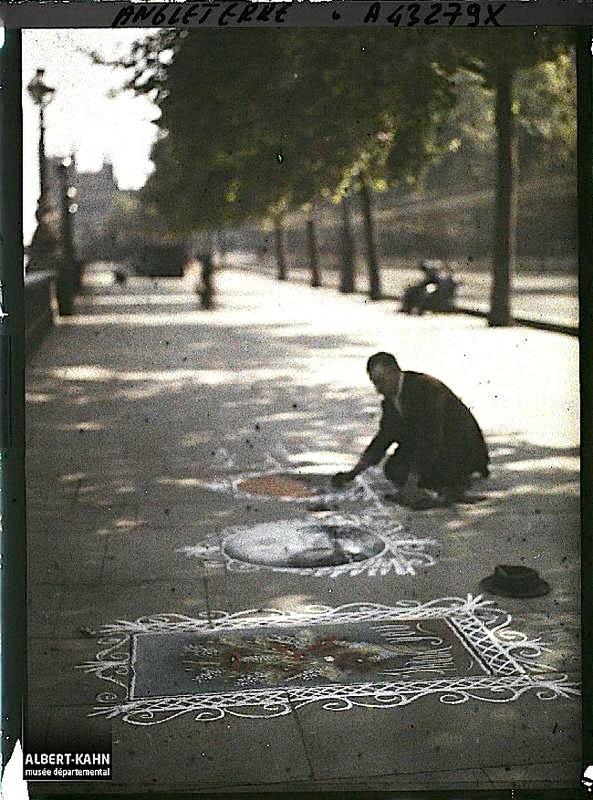 An artist in pastels working on a sidewalk along the Thames River, London, June 1924, by Roger Dumas, via Archives of the Planet Collection – Albert Kahn Museum /Départment of Hauts-de-Seine. This autochrome is one of about seventy-two thousand that were commissioned and then archived by Albert Kahn, a wealthy French banker and pacifist, between 1909 and 1931. Kahn sent thirteen photographers and filmmakers to fifty countries “to fix, once and for all, aspects, practices, and modes of human activity whose fatal disappearance is no longer ‘a matter of time. '”* The resulting collection is called Archives de la Planète and now resides in its own museum at Kahn’s old suburban estate at Boulogne-Billancourt, just west of Paris. Since June 2016, the archive has also been available for viewing online here. *words of Albert Kahn, 1912. Also, the above photo (A 43 279 XS) is © Collection Archives de la Planète – Musée Albert-Kahn and used under its terms, here. 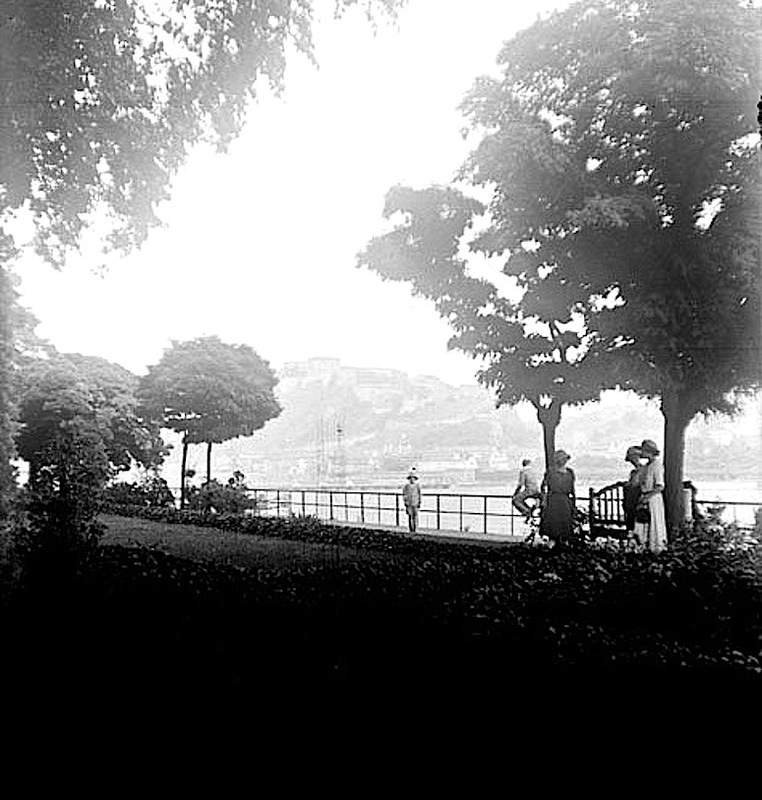 “Gardens alongside the Rhine River, Coblence (Rhineland-Palatinate)” , via Bibliothèque de Toulouse Commons on flickr (cropped slightly by me). The Bibliotheque‘s flickr page gives Eugène Trutat as the photographer, but M. Trutat died in 1910, and the women’s dresses seem to be from the 1920s, maybe even the 1930s. Coblence — now Koblenz — is a German town located where the Rhine and Moselle Rivers come together. The photo may have been taken here, looking over to the Ehrenbreitstein Fortress.